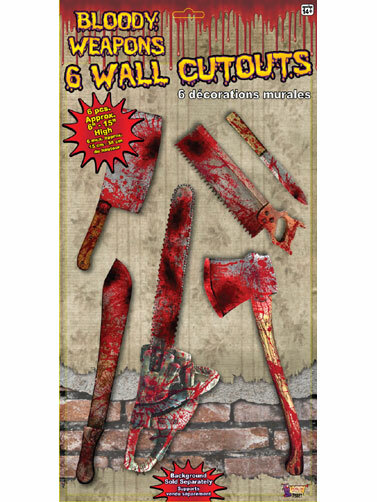 Bloody Weapon Cut-Out Assortment will your give your Halloween decorations a touch of the macabre. Paper cut-outs with realistic images of bloody weapons that includes a knife, machete, saw, chainsaw, axe and cleaver. Hang with tape or sticky tack, sold separately. Bloody Weapon Cut-Out Assortment measure 6" - 15"H. 6 pc.